Astronomers have now discovered one thousand extrasolar planets, reaching a milestone in modern astronomy. (See a recent Universe Today article on the subject.) While many have contributed to this achievement, Dr. Sara Seager of MIT has played a large role over the past two decades by contributing vastly to the field of exoplanet characterization. Her theoretical work led to the first detection of an exoplanet atmosphere. The following is a condensed interview I held with Seager earlier this week. What first pulled you in to the field of astronomy? When I was 10 I got to see a really dark sky (well outside her hometown of Toronto, Canada). I stepped out in the middle of the night and I just saw so many stars. I wish you and everyone could see that. So many stars, I just couldn’t believe it. You were working at Harvard for your PhD in the mid ‘90s when we first detected exoplanets. What was that like? The mood was quite different. Today everybody wants to talk about it (exoplanets) and write about it. There’s a lot of hype. But back then it was very quiet. There was a huge amount of skepticism too. People don’t like change. I want you to imagine a world where the gas giants like Jupiter and Saturn are very far from the star and the terrestrial planets like Earth, Mercury, Venus, and Mars are very close to the star. People had constructed theories on how planetary bodies form based on that one example. 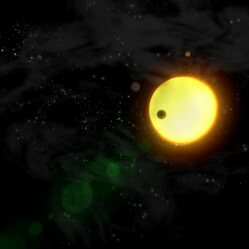 So when the first planets around sun-like stars were found, they were Jupiter-mass planets, but they were several times closer to their star than Mercury is to our Sun. It offended all thoughts, theories, and paradigms … As scientists we’re supposed to be skeptical and push back on new discoveries and theories that are upsetting the system. There was huge skepticism. How difficult was it during this time to work on exoplanets? Many people, including my graduate student peers and faculty said, “Why are you doing this (working on exoplanet research)? This is not going to happen. And even if exoplanets are real we’re never going to be able to study their atmospheres,” which is what my PhD was on. What pushed you through despite all the skepticism? Ironically, I was not committed to a career in science. I didn’t feel like I needed to be involved with something that was at the 100 percent certainty level. I was free because I didn’t have a plan. I had nothing to lose by doing something I thought was really cool and exciting. When you’re doing a PhD you’re really learning how to answer a tough question. Usually if you do a homework set in high school, or college, there’s already a known answer. But when you’re doing a PhD, if you’re asking a really hard question that has never been asked before you’re answering that question with your own tools that you’ve developed yourself. At that time, I knew… the real thing is not just what you’re working on but it’s the tools that you’re using and the things that you’re learning. At the end of the day if you don’t stay in science you have gained a skill that most people don’t have. 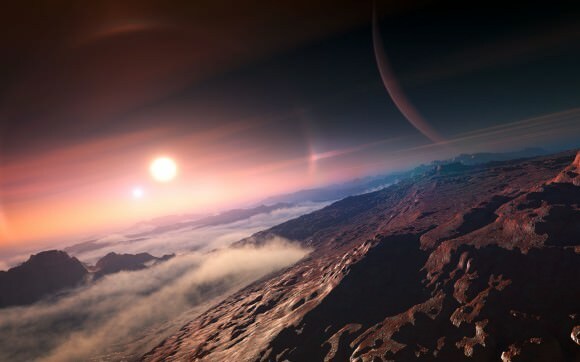 Artist concept of an exoplanet. Credit: David A. Hardy. What changed then? What kept you in science after graduate school? I had freedom and really enjoyed what I was doing. What is your motivation for studying exoplanets? Why should we study exoplanets? We want to know: Are we alone? We want to know if there is life beyond earth. Eventually we will have dozens to hundreds of potential earth-like planets to study in detail. We want to look at their atmospheres for signs of life by way of biosignature gases. What do you think is the likelihood that we will discover an earth-like planet orbiting a sun-like star? Well, it really just depends if we can rally resources and interest in doing this problem. We think we know how to find an earth-like planet around a sun-like star. But it’s a very very very hard endeavor. We think that the earths are out there. It’s just a matter of building the sophisticated space telescopes that we need. So what are the chances? It’s really more of a political and economical question more than anything else. I think it’s inevitable that eventually we will find one. Do you have a favorite planet? I always like to say my favorite planet is the next planet. We have a sort of ADD (attention deficit disorder) in this field where we’re propelled and motivated forward by finding the next exciting planet. We’ve reached a huge milestone in astronomy of detecting one thousand exoplanets. What does this milestone mean to you? There’s a caveat here, an uncertainty. We don’t know which one is going to be number one thousand because we don’t agree on the definition of a planet. And even if we did, there’s an uncertainty in the mass and size measurements such that some objects that are called planets probably aren’t planets depending on what definition you want. Occasionally a planet is retracted. But in general, we’re about to pass the one thousandth mark. What do I think? I think it’s phenomenal. I mean I’m so excited. The study of exoplanets really started as a field where no one wanted to work on it. People thought it was never going to happen, they thought even if there were real planets we’d never get any measurements beyond stamp collecting – a derogatory phrase we sometimes use in astronomy for science that is not that useful. You just find discoveries and they pile up because you don’t know what to do with them. We’ve changed the paradigm of planet formation, found exotic types of planets, and we’re right on our way to finding another Earth. So I think it couldn’t be better. I felt like this interview ended a bit too soon, just as I was getting really interested. Sara mentions changing the paradigm of planet formation, I would have loved to hear her expound on that a bit more. Also, I’d be interested to know her thoughts on the definition of “planet.” The IAU definition only applies to our solar system and is somewhat arbitrary. How much data would likely have to be gathered about exoplanets before the community would feel compelled to revisit this issue and develop a definition (or definitions) that would apply to all stars and their varied satellites? And what kinds of telescopes/missions would have to undertaken to gather that data? A fleet of Kepler-like telescopes? Terrestrial Planet Finder? I agree with Alexander. I would have a million questions to ask someone at the top of the field of Planet Hunting. “What is your favorite planet” is not one of them. I tend to agree as well, but part of a conversation with Dr. Seager is better than none at all. She is one of my favorite astronomers, as is her field of study. Spot on, per favorites! I saw her on a Cosmoquest hang out and enjoyed it more than any other one since. She is so INto the field and displays an excitement that’s palpable. I’d really like to see her again on one.